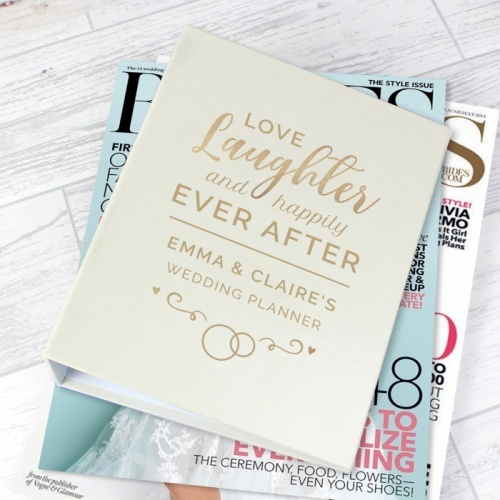 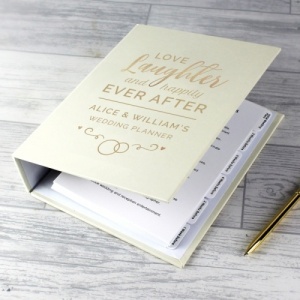 Ensure your wedding is planned to perfection with this Personalised Happily Ever After Wedding Planner! 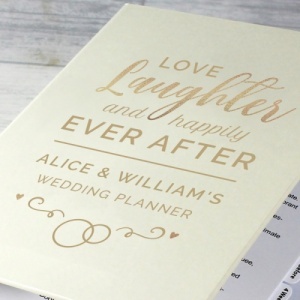 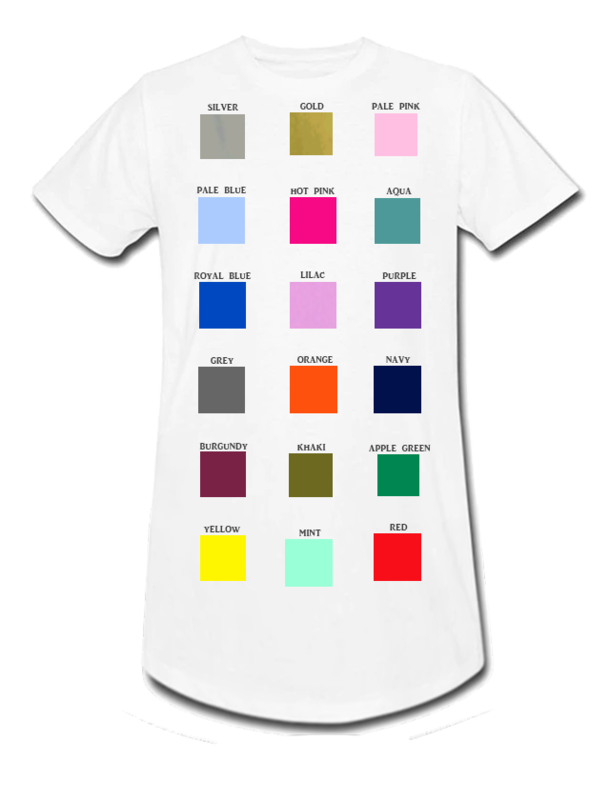 This wedding planner can be personalised with a line of text of up with 25 characters. 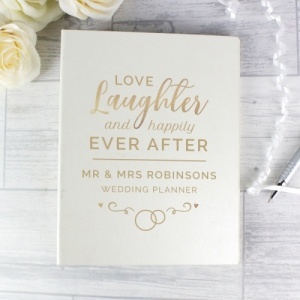 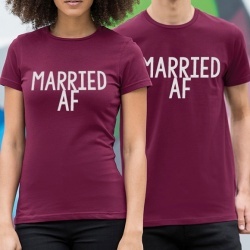 The words 'Love, laughter and happily ever after' and 'wedding planner' are fixed. This ring-bound wedding planner includes sections for initial wedding plans, 3 months before, and 1, 2, 4 and 6 weeks before the wedding. 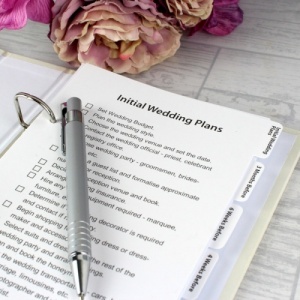 Each section begins with a checklist of key milestones to tick off for your wedding. 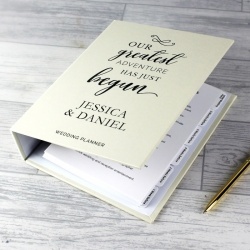 The planner also contains approximately 60 pages of lined paper.